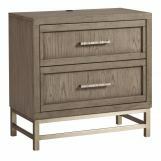 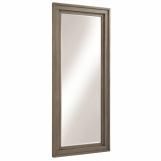 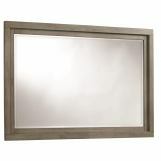 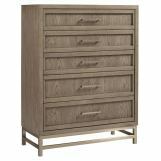 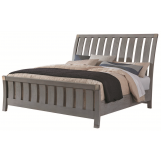 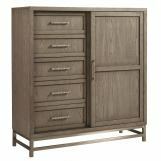 The Venice collection boasts handsome lines in a contemporary Silver Oak finish. 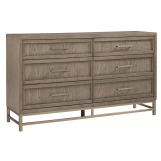 Casual and classic design elements enhance the character-rich oak veneers, Cosmic Grey velvet, and Brushed Nickel accents. 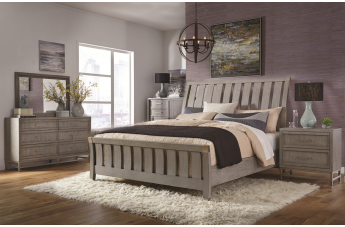 This elegant collection offers statement bed options and a variety of storage-rich cases.